If you’ll need any special equipment at the airport, call as soon as you confirm your travel plans. Call the airline and airport customer service as necessary to arrange accommodations for each of your days of travel. The more of a heads-up you can give them, the better. Call again a day or two before your trip to confirm your arrangements and make sure you’ll have all the necessary documentation you’ll need. If you face any delays or canceled flights, be sure to follow-up with the airline about making needed accommodations for your new plans. Plan for any medications you’ll need to bring. Bring a few extra days of dosages so unexpected delays won’t put you in crisis. Pack them in their daily organizers as you would for any other week — vacations can be a lot of chaos and confusion, but taking medication should be as smooth away as it is at home. You may want to set alarms on your phone as reminders, as well. If you take a medication that requires refrigeration, call ahead to your hotels to ensure you’ll have access to a small refrigerator in your room. Don’t underestimate the importance of luggage. Bad luggage can put a major damper on any trip, but especially one for someone who has limited mobility. 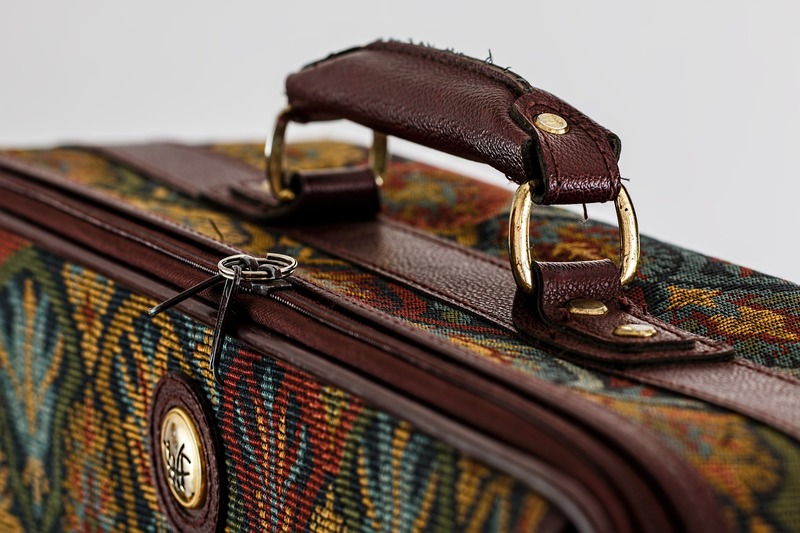 If you’re flying, check your airline’s baggage number, size, and weight restrictions. If you’ll be driving, pack with the image of your bag sitting on your back seat. Is it bulky and falling over? If yes, lighten your packing. Be prepared for inconveniences. Bring items that will compensate for rooms that aren’t as accessible as you’d hoped. Pack things like a backup shower chair and a collapsible reacher so you can make due as you have to without putting too much of a pause on your vacation if your room isn’t up to par. If you have any equipment that needs charged, bring backup batteries and power cords. Looking to stay nearby? You have options! Traveling across the country or world can be quite the undertaking for anyone, so if you’re thinking of staying in-state, Iowa has you covered. If you’re looking for a relaxing day with nature, head to Dubuque to visit Eagle Point Park. With 164 acres of beautiful land overlooking the Mississippi River, your worries will melt away, and you just might even catch a glimpse of a soaring bald eagle. The park’s pavilions and picnic tables are on concrete pads, making them accessible to those of just about any ability. If thrill-seeking is more your game, Adventureland Park in Altoona has roller coasters, bumper cars, a sky ride, and much more. If it’s a particularly hot day, grab your swim gear and head right over to Adventure Bay. Both parks are family friendly and can accommodate your specialized needs. Whether you’re going abroad or staying in Iowa, keep these tips in mind this summer. Traveling with a disability may not be a breeze, but it can certainly be easier! Happy travels!